To often the word stress comes into our vocabulary and it seems to be an everyday norm. You might have stress because of too many commitments, work pressures, money issues, or maybe health and or family issues to name a few. What is stress? 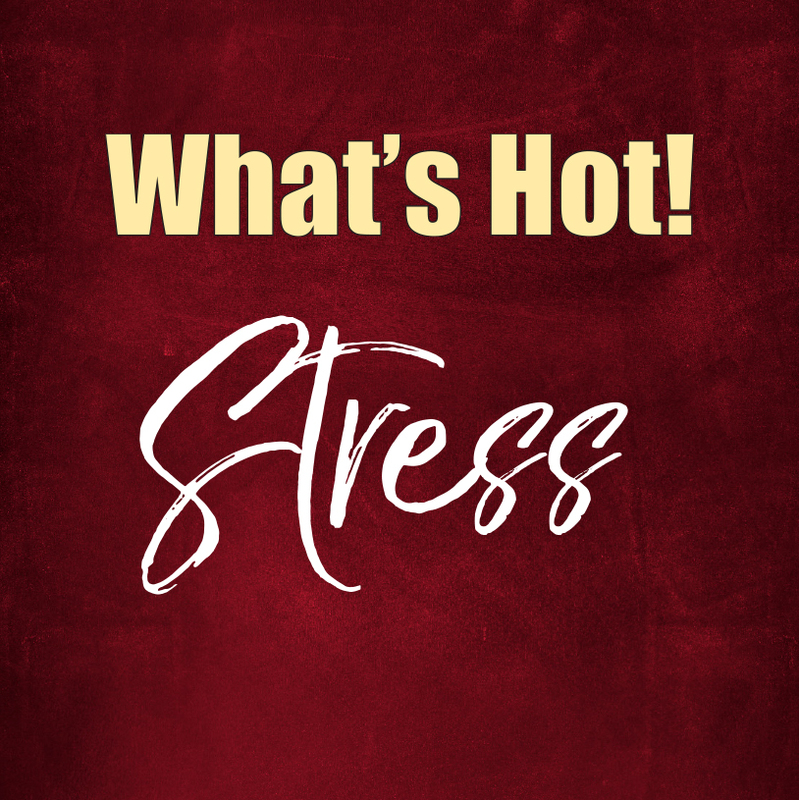 Stress is defined as any disturbance- for example heat, cold, physical trauma, strong emotional reaction—these can cause the body to respond in a trigger called ‘stress response’. Stress responses from the body can be three fold. 1st response is fight or flight that elicits an adrenal gland response such as epinephrine, nor-epinephrine which accelerates the heart, sharpens the mind and ‘gets you going’. This is typically short lived. The 2nd response is called the resistance phase which causes the body to endure the stress, fight infection, deal with emotional issues, perform strenuous activity and is driven by cortical hormones. The last phase is called exhaustion or ‘time to rest’ phase. Too much stress on the body is not a good thing, although the perception of stress can be very different in each person. Stress can be perceived differently in people: stress itself should not be viewed in a negative context. It is not the stressor that determines the stress but, instead it is the individual’s internal reaction that determines the stress outcome. NO one can live without stress. Some good emotions such as joy might active the bodies’ stress response- in fact ‘the spice of life’ is stress full. That said it is how your body reacts to ‘stressors’ that cause stress. When the body responds to stress it does so with the adrenal glands, fight or flight is epinephrine and long lasting response phase is driven by cortisol hormones all from the adrenal gland. Supporting the adrenal gland with good dietary habits helps one stave off stressors. Reducing stimulants such as caffeine, reducing sugar and refined carbohydrates and restricting alcohol, and having regular and planned meals in a relaxed environment, and regular exercise and breathing techniques are all good lifestyle ways to reduce stress and anxiety on the body. Nutritional supports for the adrenal glands focuses around b-vitamins; especially b-6, and b-5 (pantothenic acid), as well as vitamin C, magnesium and zinc. A good multi-vitamin should be used to get all these nutrients as well as others for stress. GABA (gama-aminobyturic acid) an amino acid and neurotransmitter found in the body. Low levels of GABA have been found in anxiety and other stress related situations. Phama-GABA supplemental form has been found to be effective in relaxing and anti-stress effects on the body and is available in supplemental forms. Popular herbs for stress management include ashwagandha, rhodiola, Siberian eleuthero (eleutherococcus senticosus), (once known as Siberian ginseng). Ashwagandha in the patented form called ‘Sensoril’ has been used in double blind studies- one study showed stressed subjects taking Sensoril had significant reductions in anxiety and serum cortisol levels helping reduce total stress. Siberian eleuthero has lots of studies with stress reduction and athletic performance. Siberian eleuthero has been studied in many areas of sports performance as well reducing mental fatigue showing improvements in mental tasks and performance. Finally homeopathic argentum nitricum shows promise for apprehension and anxiety. Dr. Murray, The Encyclopedia of Natural Medicine 3rd ed.Atria New York, NY. 10020 2012. of 204-18, 313-20. Kapit, Macey, Meisami, The Physiology Coloring Book, HarperCollins Pub. New York, NY. 10022, PG 119-21. Heuther, McCance, Understanding Path physiology 5th ed, Elsevier, elssevierhealth.com 2016, pg 205-10.